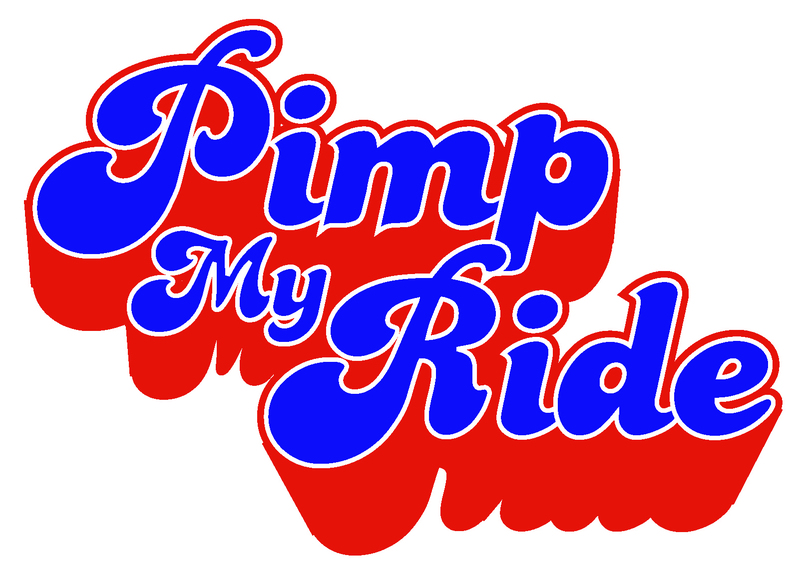 This is part two of our “pimp my ride” series, in which we undertake performance upgrades to various subsystems of a Power Macintosh 7300/200. In the first part of this series, we upgraded the 7300/200 with an ATI Radeon 7000 Mac Edition video card, and found the results largely uninspiring. In this post, we upgrade the CPU from the stock 200 MHz PowerPC 604e to a 400 MHz G3. The CPU is the heart and soul any computer, and a capacity increase in this area should certainly among the highest impact updates a user can make. In my case, my Power Macintosh 7300/200 shipped with a 200 MHz 604e, and was a very capable machine in this configuration. Nonetheless, I had two CPU updates available, both from Sonnet: a 500 MHz G3/1M and a 400 MHz G3/1M. Conceptually, both should have been able to more than double the performance of the 7300, and as we shall see, this was indeed the case. … and slotted the new 500 MHz card into its place. The new card was a curiously small form factor, but It declared itself to be a Crescendo G3, and all of Sonnet’s literature said that this compatible with a Power Macintosh 7300 and so I proceeded. Suspecting that trouble might be in the offing however, I did not replace the cover of the 7300. …but trouble was indeed in the offing. My attempts to start the machine up after the install were a complete failure. I could hear the machine power on, but there was no start up chime, and no other overt signs of life. I left the machine sitting like that for some time (several minutes), just in case it was running RAM tests, but it remained deaf and mute, and eventually I turned it off. I reseated the card and retried the start up several times, but always to no good end. I tried zapping the PRAM and restarting, but again, no joy. Finally, I was left to decide that this was either an unsupported card for the 7300, or it was defective. Happily, I had a fallback, the 400 MHz upgrade card I mentioned above, and I dropped back to that. When I pressed the Power button this time, the machine sprang to life instantly, issued a robust start up chime and dropping directly into the boot sequence. This sequence was observably faster than before, and quickly yielded a fully booted desktop. Alright then – so far, so good, but was it running at 400 MHz? Sonnet prides itself on being a no hassle upgrade. As their literature says, “No Switches, No Control Panels, Just Fast”. As you might expect therefore, there was no control panel to look at to verify the CPU speed. Sonnet did however provide a program called Metronome, which measures and reports the speed of the CPU. I found Metronome in my Apple Menu items and ran it. As you can see below, it reported a clean 400 MHz. Sonnet was right. No muss, no fuss, just fast. OK, the CPU was running cleanly at 400 MHz. I was particularly interested in this since in the past, I had upgraded a Power Macintosh 7500/100 with a Newer Technology brand 400 MHz G3, only to get a less than advertised 366 MHz from it. I am guessing that some form of clock auto scaling was responsible for this, perhaps as the card did its best to multiply the system clock, but it always left me wanting… I had paid for 400 MHz and received only 366 MHz. It still made a HUGE difference, but it wasn’t everything I had been expecting. In this case, I was pleased to see that my new Sonnet upgrade was delivering the full 400 MHz I had paid for. So, how fast IS 400 MHz relative to the initial 200 MHz? I tried a few very subjective tests, and was impressed with the results. Image decoding in JPEGView was significantly faster than before. My ThumbsPlus image cataloger and viewer seemed to race through images in a way I could only have dreamed of before the upgrade. This was all encouraging. It was time for some objective testing. The system now booted in 125 seconds, vs. the original 177 seconds. This was faster, but not as much faster as I might have expected. It seems to me that this must be reflective of a boot process that is bound not just by CPU but also by disk I/O. I am guessing that having improved only one of these two factors, I did not get the maximum benefit. Overall, I would summarize the above as a roughly 2x boost, which is not quite as much as I might have expected, when doubling the clock and going from a 604e to a G3 with 1 MB of backside cache, but there you have it. To offset that minor disappointment however, there was a hidden bonus in this upgrade, quite aside from the new, snappier behavior of the system. The system ran quieter now as well! The 7300 has variable, temperature controlled fans, and I have always noted that as the machine warmed up and internal case temperatures stabilized, the fans would ramp up somewhat and the machine would get noisier. This was not the case post upgrade. Clearly the new 400 MHz G3 must run cooler than the older 200 MHz 604e, resulting in less need for cooling and thus quieter operation overall. So, in summary, bumping up the CPU from a 200 MHz 604e to a 400 MHz G3 produced excellent and very noticable results. The machine now booted faster, applications loaded faster AND ran faster, and as a final bonus, the system ran cooler and quieter. I’ll call this upgrade step a big win all around. Up next, and the last upgrade step in this series, is an upgrade to the hard drive, from an original SCSI drive to an ATA-66 interfaced IDE hard drive. Read on to see the impact of this change. Video card updates are often the first stop for users wishing to increase the performance of their computers, and so I decided to start my update efforts in this area. Video card updates are particularly relevant for gamers and for people who are interested in high quality video playback of all sorts. After reviewing the slate of possible video upgrades for my Power Macintosh 7300/200, I settled on the ATI Radeon 7000 Mac Edition as the best of a limited bunch. While reviewers generally commented on its “tepid performance” overall, it was still a major boost relative to the onboard video system of the 7300, and seemed the most competent of the set of possible options. 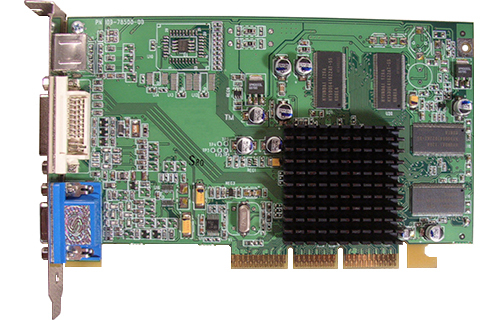 The ATI Radeon 7000 Mac Edition debuted in 2002, and was targeted at upgrades of older Power Macintosh units that lacked the then current AGP bus, and thus had only PCI to work with as a system interface. 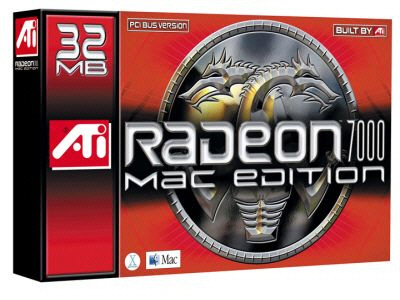 Despite “being hobbled by its PCI interface” as one reviewer put it, the Radeon 7000 Mac Edition still promised a significant functionality boost to users of older Macintoshes: DVI connectivity, dual monitors, accelerated 3D graphics and finally higher resolutions due to its 32 MB of (then) high speed DDR onboard video RAM. Arriving as it did in 2002, and aimed at older Macintoshes, the included drivers assumed Mac OS 9.2.2 would be the operating system environment that they would execute in. Thus the OpenGL elements of Mac OS 9.2.2 were required to get full functionality from those drivers. Early versions of Mac OS X were supported as well, but as this was not my focus, I chose not to explore that further. I am running Mac OS 9.1 on my Power Macintosh 7300/200, and so I was a little concerned about getting things to work, but it turns out that both the initial releases of the drivers, and the October 2002 retail upgrade of them, both supported Mac OS 9.1, but per the above, without full OpenGL support. I resolved that by copying all of the OpenGL system extensions from one of my Mac OS 9.2.2 systems to the Mac OS 9.1 system folder of my 7300/200. The net result was that my Mac OS 9.1 system was upgraded from OpenGL 1.2 to OpenGL 1.2.4. Installation of the card was a snap (I picked one up on eBay for next to nothing). I installed the October 2002 version of the drivers, turned off the Macintosh, installed the card, and attempted to move the video connector from the onboard video plug to the Radeon 7000 video plug… Well, wait a minute, perhaps installation was not QUITE so much of a snap. More like a hiccup actually! 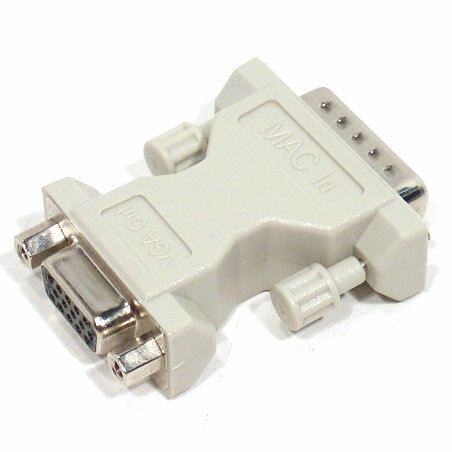 and as you will undoubtedly remember, Apple had unique, non VGA connectors at the time. So, I could not simply move the non VGA video connector of the monitor onto the VGA output of the Radeon 7000. If I had been able to get the Radeon 7000 I purchased with its full original retail packaging, this would not have been a problem. ATI included the necessary adapter for this circumstance in their original packaging. However, all I had purchased was the card itself, and so I was somewhat out of luck. A return to eBay was in order, and after some trial and error, I discovered that a search for “Macintosh to VGA adapter” turned up the right result, and I ordered one. This arrived a few days later and I was able to complete the install and try out the new card. Needless to say, the delay was annoying! I connected the monitor to the Radeon 7000 via the adapter and turned on the machine. The Power Macintosh booted smoothly and came right up on the Radeon video port. That was good – basic sanity is always helpful! But what about performance? Well, as reported above, “tepid” does seem a good choice of words. I really did not notice much improvement in observable performance. Subjectively, some applications seemed to accomplish vertical scrolling a little more smoothly, and this was especially visible in Photoshop 6, but that was about it. Worse, I noticed that selecting and dragging Finder windows seemed to have gotten noticeably WORSE! Where previously window movements had been reasonably smooth, now they were jerky, with the screen image seeming to update very, very slowly. 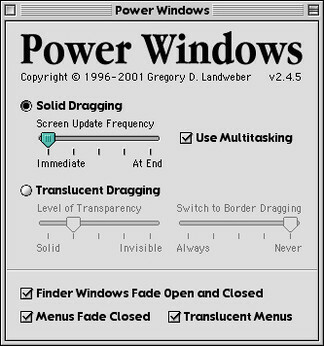 I have been using an extension called Power Windows to achieve solid window dragging. Suspecting a conflict, I disabled it. That did the trick. Suddenly, although I no longer had solid window dragging, Finder windows moved crisply and updates snapped into place. This was a notable improvement from the state before I had installed the video card, and so I was happy with it. I am not a gamer, but I have read numerous reports that the Radeon 7000 makes a perceptable difference there, and ditto for video playback. For me, the Radeon 7000 did little for my day to day work on the Power Macintosh 7300. The system did not seem subjectively any faster, short of the minor Finder window update speed improvement I reported, but it did now have more available resolutions, and dual monitor and DVI connectivity (if I should ever want to use these with this system) and so I will call it a net win. Overall, the real value of a Radeon 7000 addition will be realized by gamers, users of video and those wishing to go to DVI or multi monitor. For my use of my 7300/200, the Radeon 7000 was a nice addition, but not a great performance uplift. That brings us to next steps. The objective of this exercise was to get noticeable performance improvements, and so it was time to move on to the next step. One typically gets noticeable performance gains from CPU upgrades, and so next up is just that: a CPU upgrade. See the next post in this series to see how that turns out!